On March 31, Ukrainians go to the polls to elect their sixth president. An openly pro-Russian candidate is unlikely to win. However, Moscow is watching closely and cares about the outcome. What is it saying about the election? We analyzed the most widespread Kremlin manipulations about Ukraine's presidential election on Russian state-controlled media in March. We selected examples from three Russian state-owned websites with high ratings: Channel One Russia, RT, and Ukraina.ru. Channel One Russia claims President Petro Poroshenko bribed the Patriarchate of Constantinople to get autocephaly for the Ukrainian Orthodox Church in order to gain some additional points in the pre-election ratings. The channel claims that Poroshenko signed a secret agreement to transfer buildings, premises, and other objects to Istanbul. However, the agreement between Kyiv and the Orthodox church in Constantinople says that Ukraine has no obligation to transfer any buildings. Ukraine's independent church has been a target of Russian propaganda since it gained autocephaly. Many Russian and pro-Russian outlets are spreading a boogeyman narrative that the Ukrainian church will fall under the control of what Russians call the "Istanbul patriarchate," and in this way, it will bring Orthodox Christians under the control of a Muslim state. Kremlin media love to blame Poroshenko for persecuting his opponents. "An 'atmosphere of intimidation' reigns in Ukraine, which does not allow people to openly express their disagreement with the policies of the authorities," Channel One Russia reported, pointing to a UN report. The UN report on Ukraine deals mainly with the catastrophic human rights situation in the territories occupied by Russia. In other words, Russia is responsible for the atmosphere of intimidation that prevails in the areas of Ukraine that it occupies. State-controlled media claim that international organizations are completely dissatisfied with the pre-election environment in Ukraine. "PACE is dissatisfied with systematic bribery of voters," RT reported. In fact, PACE praised this campaign, pointing to some problems that still might be resolved by the election. It was also concerned to hear allegations that some candidates were trying to establish vote-buying systems, but PACE never concluded that these allegations were true. Kremlin media exaggerate pro-Russian Ukrainian presidential candidate Yuriy Boyko's chances of winning. Ukraina.ru published a series of articles on this topic. In reality, Boyko has no shot at making the second round of the presidential election. Kremlin-controlled stations try to present Ukraine's election as fake by using dubious "experts." "The high ratings of showman Volodymyr Zelenskiy are linked with the fact that in the society these elections are perceived as fake, and therefore the electorate is ready to support the 'fake' candidate," Ukraina.ru reported, citing little-known political technologist Alex Sitnikov. Sitnikov gave no proof to back up his statement. The state-controlled channels love to repeat the idea that Ukraine's election will be falsified. For example, Ukraina.ru claimed that "election fraud is part of the political culture of Ukraine." Check the source. None other than Marat Bashirov, who served as chairman of Council of Ministers of the "Luhansk People's Republic" from July 4 to August 20, 2014. Manipulation #7: Ukraine is waiting for the "third Maidan"
The message of a "third Maidan" is constantly repeated by Kremlin media. For example, Viktor Medvedchuk made this claim on RT. Kremlin media give no facts, just biased fabrications from pro-Russian "experts." Medvedchuk is an odious Ukrainian businessman with a pro-Russian stance and an intimate friend of Vladimir Putin. Kremlin media point to Kirill Vyshinsky's case as proof that freedom of speech is being squeezed during the campaign. Vyshinsky was the former chief editor of RIA Novosti Ukraine whose case is being tried now. Vyshinsky was arrested in May 2018 on treason charges. The Special Service of Ukraine (SBU) alleges that he helped Russia occupy Crimea and the Donbas in 2014, and that Russia gave Vyshinsky 53,000 Euros monthly. What do these manipulations tell us? 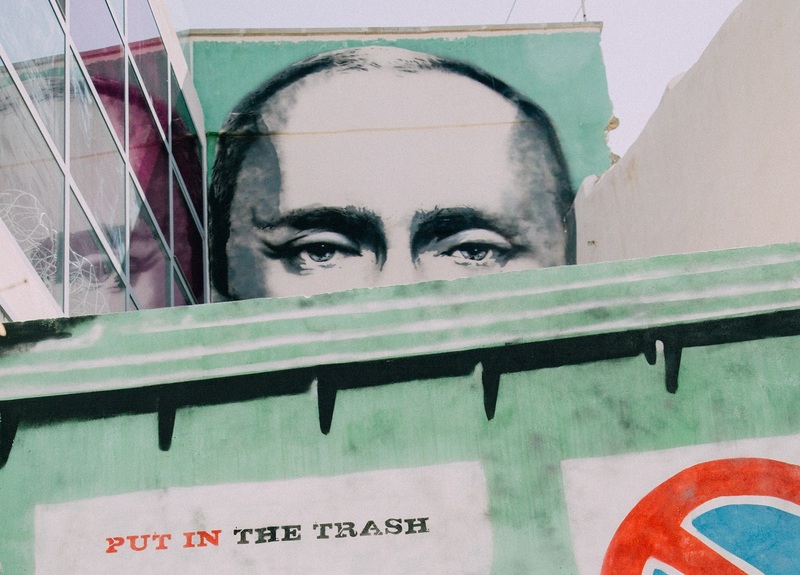 Russia is deeply interested in Ukraine's election and attempting to shape public opinion. Russia wants to persuade its citizens that the situation in their country is much better than in the neighborhood, and to persuade the United States and Europe that they should not support Ukraine.